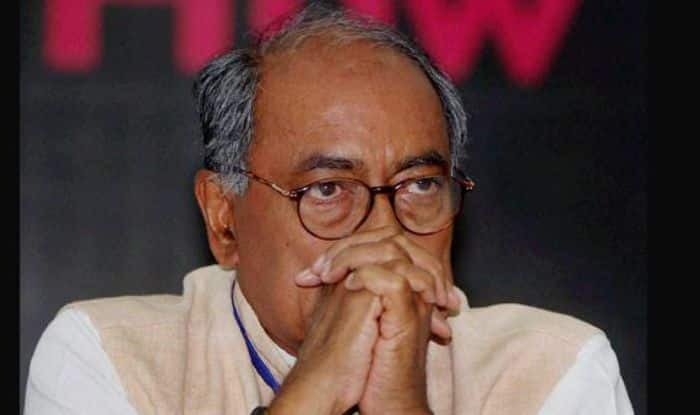 New Delhi: Congress leader Digvijay Singh has claimed that his party will win 126-132 seats in poll-bound Madhya Pradesh and also asserted that the party will form the government in the state. Voting in the state was held in a single phase on November 28. It is to be noted here that 65.5 per cent voters had exercised their franchise in the Madhya Pradesh Assembly elections, just over seven per cent less than the figure in the previous polls. In the 2013 Assembly election, 72.69 per cent turnout was recorded, an election official had said. Voting was held in 227 seats, while in three assembly segments in Naxal-affected Balaghat district – Lanji, Paraswada, and Baihar – polling time was between from 7 am to 3 pm. The battle, which can be regarded as a ‘semi-final’ ahead of the Lok Sabha elections 2019, will see a tough contest between the ruling Bharatiya Janata Party (BJP) and the opposition Congress. While the Shivraj Singh Chouhan-led BJP government eyes a fourth straight term in office, the Congress is hoping to turn the tide in the state which was once its stronghold. Other parties in the fray are the Bahujan Samaj Party (BSP), alliance partners Samajwadi Party and Gondwana Gantantra Party (SP-GGP), and the Aam Admi Party (AAP). Altogether 2,899 candidates were in the fray. The state has 5.04 crore, eligible voters. Also, 3,00,782 government employees, including 45,904 women, were on poll duty and 65,341 polling stations were set up. The BJP is contesting all the 230 seats, while the Congress has fielded 229 candidates, leaving one seat, Jatara in Tikamgarh district, for its ally – Sharad Yadav’s Loktantrik Janata Dal (LJD). On the other hand, the BSP has fielded 227 candidates, while the SP is contesting on 52 seats. The Aam Aadmi Party (AAP), contesting the Madhya Pradesh elections for the first time, has fielded 208 candidates. An average of the several pre-poll surveys held in the recent months predicts 114 seats for the BJP, 106 for the Congress and 10 for others. This means a neck and neck fight can be expected in Madhya Pradesh with no visible wave for any of the parties.